In this episode, you will learn all about how you can bring forth your dreams and achieve your goals in 2019. If you need one-on-one help, please click here to select an appointment option. Want to know a secret? Goal setting and creating big changes in your life and business does not have to involve some boring corporate-like list of measurable and deadlines or even a solid to-do list. In fact, for many creative and conscious entrepreneurs, that’s just the kind of thing that makes us feel stiff and anxious. Not to mention it doesn’t leave room for the universe to surprise us with something better. And we all know when “later” is in this sense. It’s never. But that’s just how we were taught to approach goal setting. We’ve all heard the expression “A goal without a deadline is just a dream.” But sometimes dreaming is what we really need to see a clear path to our destination. And that’s what vision boards are all about—dreaming and calling forth what you want to manifest in all areas of your life. Rather than a bland calendar or spreadsheet with dates and impressive sounding goals on them, vision boards give you the creativity to let your dreams grow. Which is more inspiring to you? • 7/30/19 – new podcast launched. • 8/30/19 – Kindle book to editor. • 12/31/19 – build mailing list to 10,000.
inspired and motivated day-in and day-out. For that you need to know how achieving your goals and manifesting your desires will make you feel. And that’s the real power of a vision board. symbols that have meaning to you and which bring out feelings of joy, peace, love and happiness. They represent your dream life. Vision boards come in many different formats, both digital and physical. We’ll talk more about that later, but for now, let’s take a look at the types of content that make up vision boards. By far the most common item to find on vision boards, images can be photos, drawings, mind maps, sketches or anything else that has some meaning for you. For some people, these messages can be extremely powerful. When you face a rough patch, simply remembering that phrase can be enough to get you fighting again. Inspiration is different for everyone. For some, the greatest source of inspiration is the Bible, Buddhist Texts, Yogic Limbs, and many other religious or pseudo-religious texts (I use the term pseudo-religious because Buddhism isn’t a religion.) For others, words of encouragement from industry leaders or historical figures is uplifting. You can have fun with these, too. won at the state fair? A small vial of sand from that secluded beach you’ll retire to someday? Your daughter’s baby shoes? Vision boards can include these treasures as well, you just might have to be a little creative when it comes to adding them. And even though I am a firm believer in magic and miracles, vision boarding isn’t some airy-fairy make-believe, either. We’ve known for decades that daydreams have power, and that purposeful visualization is the key to greater success in every area of life. Top athletes practice endlessly, not only on the field, but in their minds. They actually see that perfect shot, winning race, or stunning backflip. They concentrate on the minute movements that make it possible, how their muscles will react every second, and how they will feel at the end of a stellar performance. I have personally met Olympic athletes and heard this testimony and seen the research that proves that this visualization has nearly the same as with actual, physical practice. This type of visualization actually creates neural pathways that are virtually indistinguishable from those caused by completing the act itself. It works the same way for you. When you visualize your ideal business, career, your happy home life, your dream vacation, and even your biggest income goals, you’re primed to achieve them. And you’ll meet those goals much faster and with fewer stumbles than if you simply list your goals (and deadlines) on a calendar and you maximize it by creating something like a vision board. 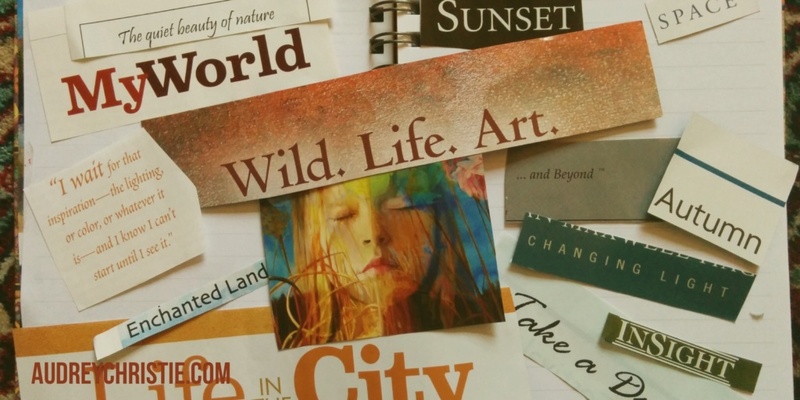 What areas of your life do vision boards work best? All. of. Them. So long as you focus on the feeling not the goal. Business—and the related lifestyle—goals are probably the most common topic of vision boards, and with good reason. Chances are you started your business with the goal of creating a better life for you and your family. It’s likely one of your driving motivations, so it’s natural to seek out tools that will help you achieve the outcomes you desire. Look for images and other items that represent your ideal business day, your perfect client, and your ultimate dream job. Wealth is another favorite topic for vision boards, and if big financial goals are part of your life plans, its one area that is optimal to pay close attention to. We let this voice create our income cap, and unless we take steps to silence it, we will never earn what we’re truly worth. When you are working on your vision board for wealth, find the images that represent the feeling of fulfillment and joy you’ll have as you’re able to achieve these goals and more. Maybe that’s a photo of needy children your church group helps support, or an animal rescue organization you love. Or maybe it’s just a big pile of money so you can retire young and live on a yacht. It’s your dream, and it can be anything you want it to be. The point is, your vision board is the perfect vehicle for finally silencing that negative voice in your head that’s keeping you from your financial goals. This is one of my favorite topics. We spend far too much time inside, sitting down, staring at a screen. We don’t move our bodies enough, we don’t get out in nature, we wear shoes 24 hour a day and we starve our bodies of nourishment and water. How can a vision board help? By making it clear how much better you will feel (there’s that “f” word again) when you move your body, when you tune in and accept your cravings as important messages, when you take care of you. A vision board filled with images of fun activities in relaxing locations is just the thing to remind you—the next time you reach for another slice of pizza—that you’re working toward an achievable goal. We don’t often think of vision boards as being helpful with relationships, but maybe that is because we just don’t put enough emphasis on setting goals to improve them. Creating a family and friends vision board just might change that. Fill your board with items that represent the best relationships you can imagine, and soon enough, you’ll begin creating those bonds in your life. income by 15%. Or run in a 5K. Or vacation in Greece. These are all fine, respectable goals, worthy of your vision boards. But what if you turn them up a notch...or three? Instead of increasing your income by 15%, increase it by 150%. Rather than running a 5K, what if you run a marathon? Instead of a week’s vacation, what if you moved somewhere for six months? With your vision board populated with meaningful images, thoughtful and motivational quotes, inspirational messages, and plenty of creativity, even these big scary goals suddenly feel much more attainable. Remember, what you can see you can achieve. 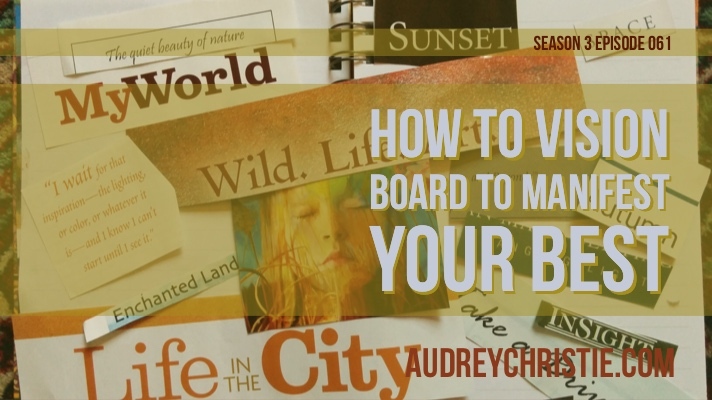 How do you make a vision board? 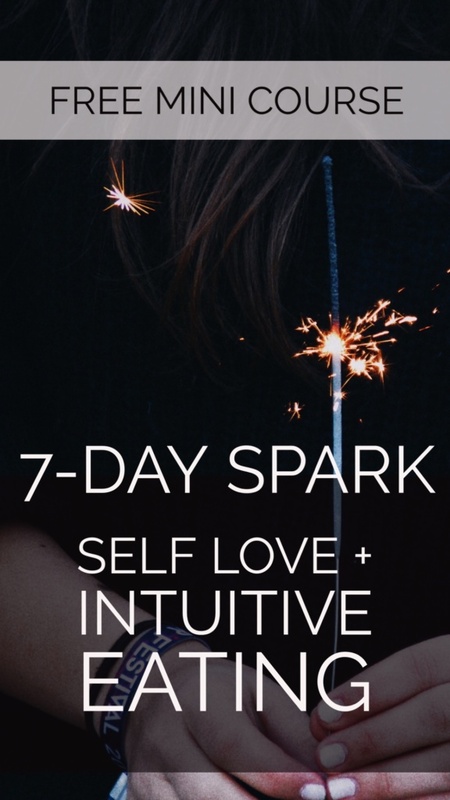 So now that we know what a vision board can do for your future goals and your present state of mind, let’s talk about the actual building blocks. Creating a vision board can be as simple as cutting photos out of a magazine and tacking them up on your office bulletin board, or it can be as complex as a hand-made frame with personal photos and trinkets. because you can quickly add and edit your board. you’ll have your vision board with you everywhere you go. So let’s do a quick recap. To wrap this up, here’s a quick list not to forget when creating your vision board for 2019. It’s yours. There is no right or wrong way to create your dreams. Dream big! Your vision board is for big dreams! You have to spend time with it. A vision board is a living document, and it will work better when it has your attention for at least a few minutes every single day. Whether you choose to create a stunning collage of individually framed images you carefully collect over the course of a year, or you build it on your iPad from stock photos, give vision boards a try. You will be pleasantly surprised at the power they can wield and magic they can add in your life and your business. 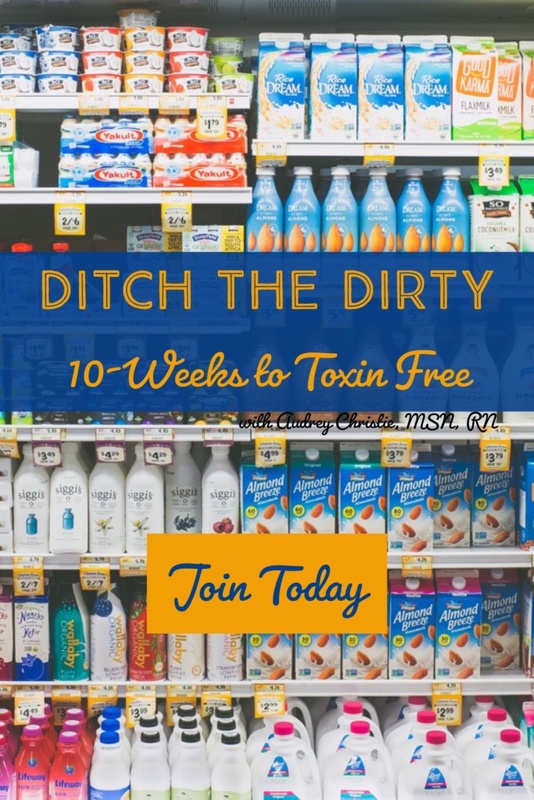 Remember this resource is available for the Wellness Circle Members and available for you forever in the shop as a downloadable product with a video, workbook guide, checklist, and printable guide. Thank you so much for listening/reading this episode. If you like what you hear please subscribe and rate us on iTunes!